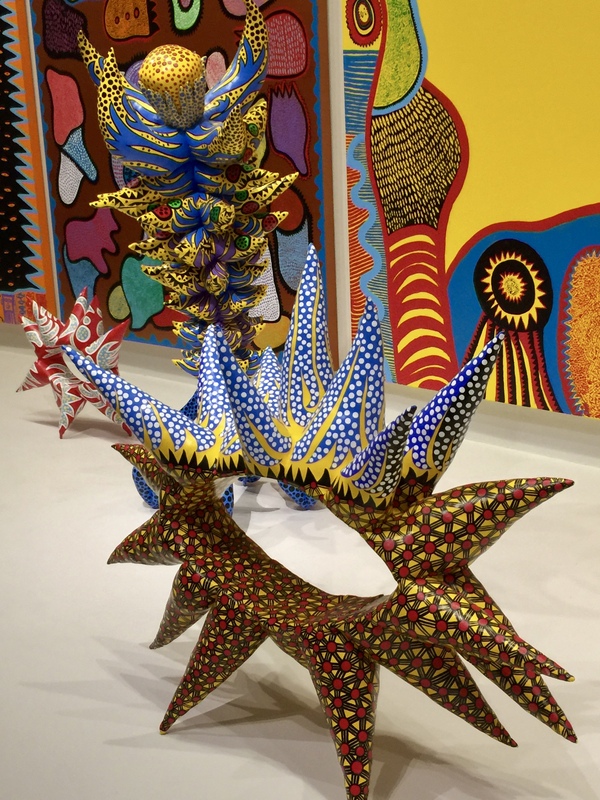 If you take a rainy Friday, put in for half days leave from work, travel to the Hirshhorn to see the final showing of Yayoi Kusama’s “Infinity Mirrors”, you have the start to a relaxing weekend. 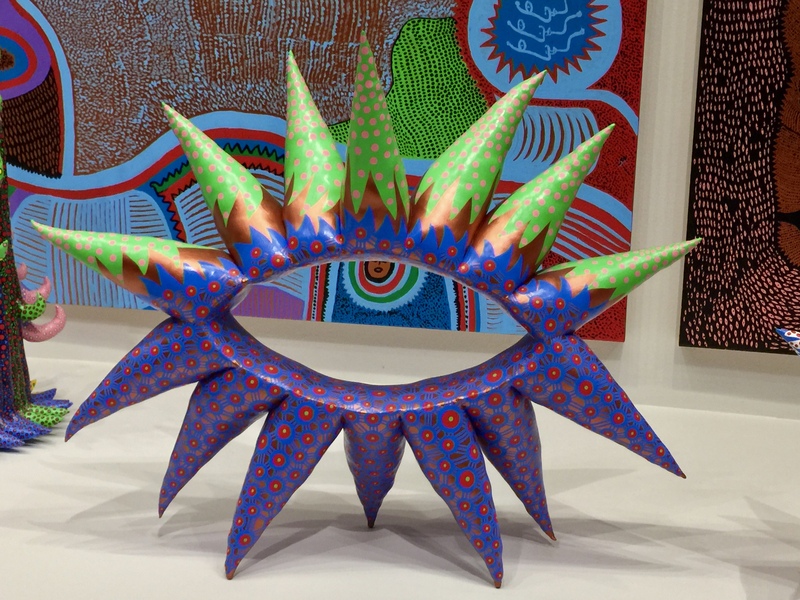 Upon entering the museum the first item on the grounds is an amusing and whimsical sculpture of a giant gourd called “Pumpkin,” 2016- courtesy of Ota Fine Arts in Singapore. 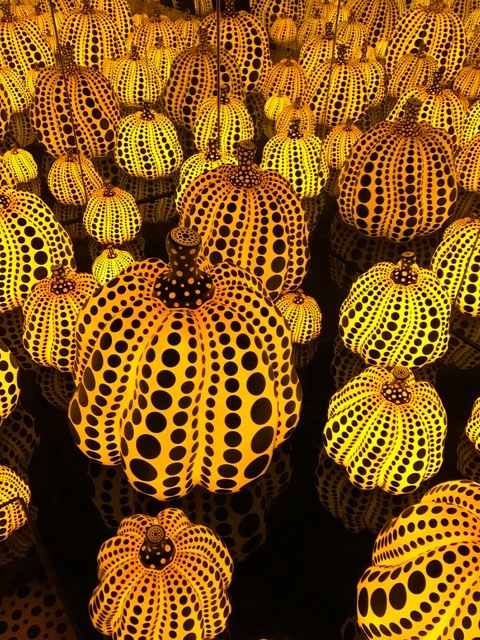 Kusama indicated pumpkins bring about poetic peace of mind, and have inspired her since childhood, when she was surrounded by her family’s nursery in Japan. 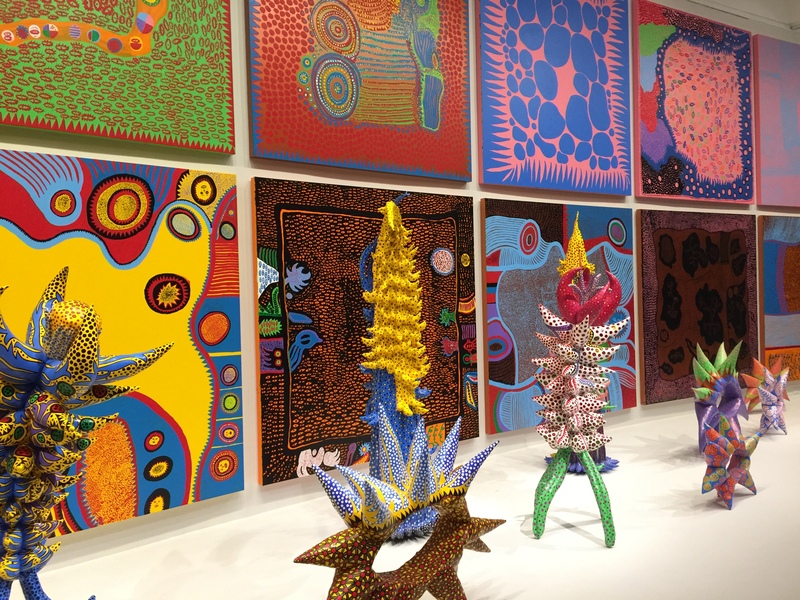 Yayoi Kusama is a phenomonical woman who moved in avant-garde circles with such artists as Andy Warhol and Allan Kaprow, while continuing to hone her skills on mirrored installations, and dots and motifs. She also became the first woman to represent Japan at the Venice Biennale. This exhibition will embark on a tour of five major museums in North America and Canada, and is now headed to the Seattle Art Museum from June 30-September 10, 2017. This is absolutely fascinating art work. I love the color schemes with each piece, very colorful and playful. 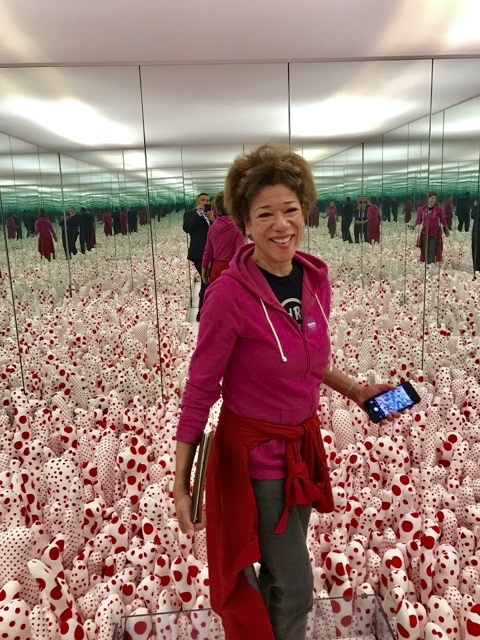 Nice photo of you with the “Infinity Mirrors”. Really nice post, K.
Interesting backstory and great pics. Great color schemes! Do I see Sean in a mirror? Yes, that is Sean in the mirror. We had a fab time!!! Gorgeous! I might have to try to see the exhibit while it’s in Seattle. And thank you for stopping my Writing Down the Story. You will have a wonderful time if you to the exhibit in Seattle, and have fun!!! Thank you so much for your most gracious and kind words!!! !